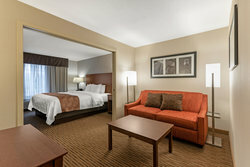 Elevate your stay by selecting our King Bed Deluxe Suite. 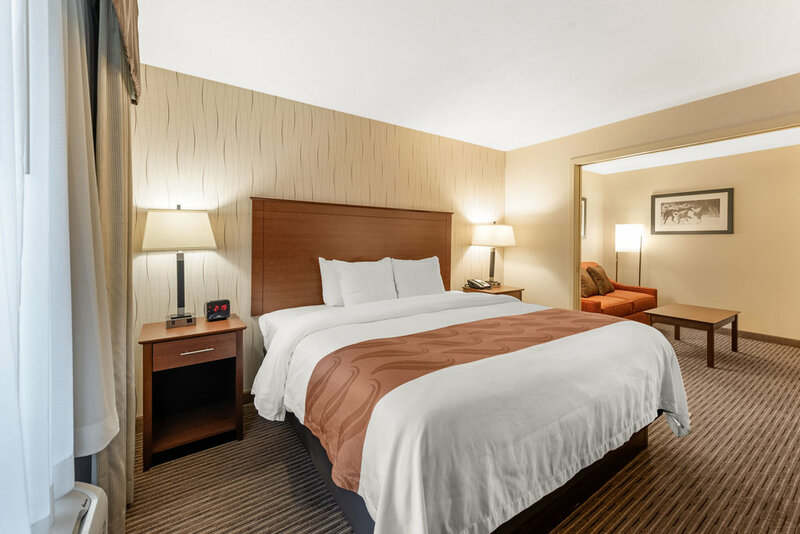 With all of the comforts of our standard hotel rooms in Fort Collins, CO, our Deluxe Suite features an apartment-style layout that’s enhanced by pocket doors that separate the sleeping and sitting areas for added privacy.. Truly feel at home in this spacious suite, which promises privacy and ample extra space. Allow us to be your home away from home in pet-friendly accommodations with premium “Q Bed” and “Q Shower” Programs. 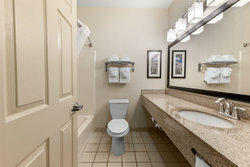 These special Quality Inn programs promise our guests the utmost comfort and convenience during their stay. Stretch out on premium mattresses and wrap yourself in the highest quality linens and pillows. 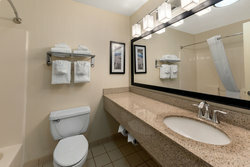 Plus, indulge in a spa-like experience with each room’s spacious shower and versatile showerhead, and use our complimentary toiletries to stay fresh and clean.